The R&S®RTO-K12 jitter analysis option extends the functionality of the standard R&S®RTO firmware with a suite of measurement, analysis and visualization tools for signal integrity analysis and jitter characterization. The powerful Jitter analysis includes simple setup via Jitter-Wizard. R&S®RTO oscilloscopes are ideally suited for jitter measurements. The sensitive, broadband, low-noise frontend combined with the high-precision, single-core A/D converter ensures exact results. 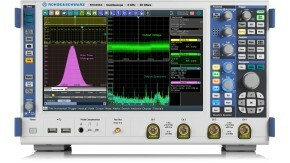 Another strength of R&S®RTO oscilloscopes is their wide range of analysis options. For example, FFT analysis of the track for the cycle-cycle jitter lets you determine interference frequencies. All automatic jitter measurements are combined into a single group. 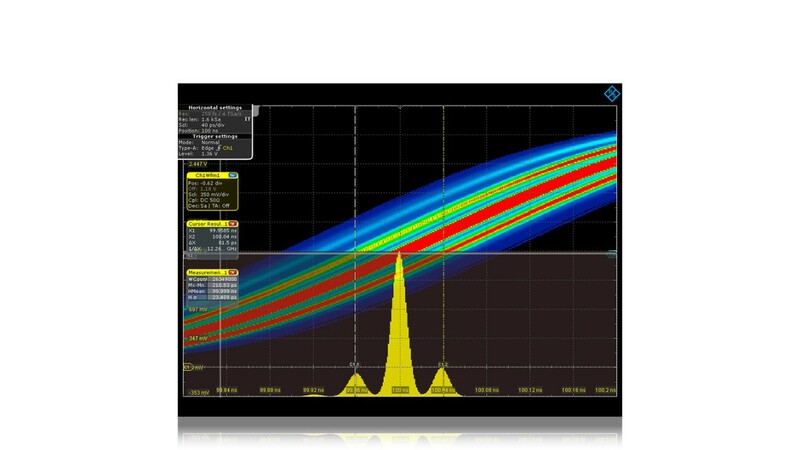 Use the jitter wizard to configure typical measurements in just seconds. You decide how the results will be displayed, e.g. as a histogram. The features allows to perfrorm a FFT analysis on the track curve of a measurement result. Additional measurement quantities such as the frequency of interference sources through jitter analysis can be derived.